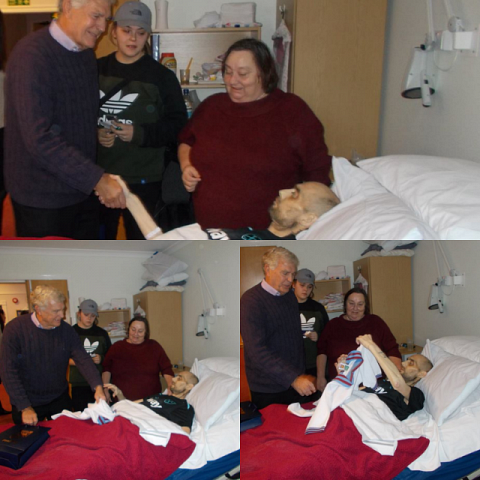 Lots of excitement in the In-patient Unit at St Luke’s Hospice, Basildon, recently as Sir Trevor Brooking – former West Ham and England international footballer – called in to visit one of their patients who is a life-long West Ham supporter. 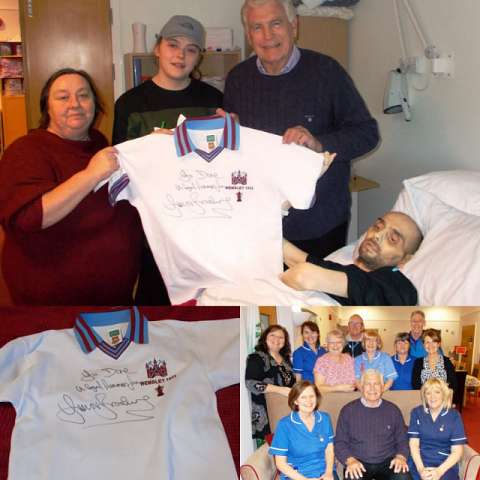 Sir Trevor also brought along a special gift for Dene – a signed 1980 Wembley shirt. Whilst there he also chatted to other patients, visitors, volunteers and staff. St Luke’s said “We are extremely grateful to Sir Trevor for taking the time to visit and to the David Randall Foundation for enabling this ‘happy time’”.